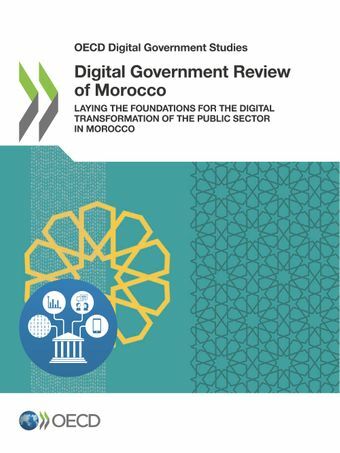 This Digital Government Review of Morocco was undertaken to support the digital transformation of the country’s public sector. One of the key challenges that even the most digitally committed governments face today is the shift from e-government (digitsation of paper based processes) to digital government (a technology leveraged re-engineering and re-designing of services and processes). The modernisation of the public sector in Morocco should be developed bearing in mind this important shift. Its implications in terms of information and communication technology (ICT) governance in the public sector are considerable. The Moroccan government should harness the momentum for digital government to develop a comprehensive open government data strategy. This would help lay the foundations for a data-driven government, and would also allow the government to build effective feedback loops for policy monitoring and permanent adjustment. Morocco’s ability to use digital technologies to modernise the territorial administration of the country and support a more homogeneous distribution of development outcomes will depend on its institutional capacity to prioritise, plan, manage and monitor information and communication technology (ICT) investments. With this transformation, it will remain imperative to remember that across all levels and policy areas, new talent and skills will be required to cope with the complexities of the new policy environment. Develop an autonomous digital government strategy and action plan to complement the Maroc Digital 2020 strategy, reinforcing the focus on digital government policies, involving all digital government stakeholders and developing an impact assessment methodology. Establish a national chief digital transformation officer (CDTO), with a clear mandate, political support and an institutional basis, to be a champion of the digital transformation of the Moroccan public sector. Strengthen the mandate of the Digital Development Agency, reinforcing its financial and human resources and attributing monitoring and co-funding authority. Establish an inter-ministerial committee responsible for the oversight and co-ordination of digital government initiatives. Develop institutional instruments to streamline digital technology investments across the public sector, namely a budget threshold for ex ante evaluation, a business case mechanism and a standardised project management model. Continue efforts already mede to promote openness, transparency and accessibility of digital services to reinforce trust in government and create a more transparent and accountable public sector. Restructure public service delivery around citizens’ needs, through the development of a centralised policy on open government data and digital platforms to capture user feedback. Create positions of chief security officers across sectors and levels of government to co-ordinate and implement cybersecurity policies. Develop and promote the uptake of digital government enablers across the public sector, such as a digital identity system, a digitised civil register and an effective interoperability framework. Develop a mechanism for evaluating ICT investments, establish an ICT commissioning policy and consider developing an open source and open standards policy. Develop digital skills among Moroccan public officials, identify the skills needs of civil servants and leaders, and consider creating specific policies to retrain, attract and retain qualified ICT professionals among the public sector workforce.